Samuel Schmitt in his grandfather's Silvermine studio in Wilton. Schmitt will discuss his recent book about Silvermine artists on July 12 in Norwalk. NEW CANAAN — Before the Silvermine area was an artist’s colony, it was settled by Native Americans. An area filled with trails and artifacts eventually became home to farmers and then artists, who, in the early 1900s, formed the Silvermine Guild. Schmitt’s grandfather, Carl, was one of the artisans in the original artist’s colony. Schmitt and his family have kept his grandfather’s studio in Wilton open for tours. Schmitt’s recent book, “Silvermine,” tells the story of the neighborhood through photos. The work is part of Arcadia Publishing’s “Images of America” series. Schmitt, president and executive director of the Carl Schmitt Foundation, used photos from historical societies in Wilton, Norwalk and New Canaan to tell the story of the community that evolved into the Silvermine Arts Center. The first artist, Solon Borglum, came to the neighborhood around 1900 and attracted a group of artists of all mediums. The artists bought barns from farmers who were leaving the area and converted them into studios. The newcomers were drawn to the quiet area, where they could paint landscapes, but still go to downtown New Canaan for shopping or to catch the train to New York. 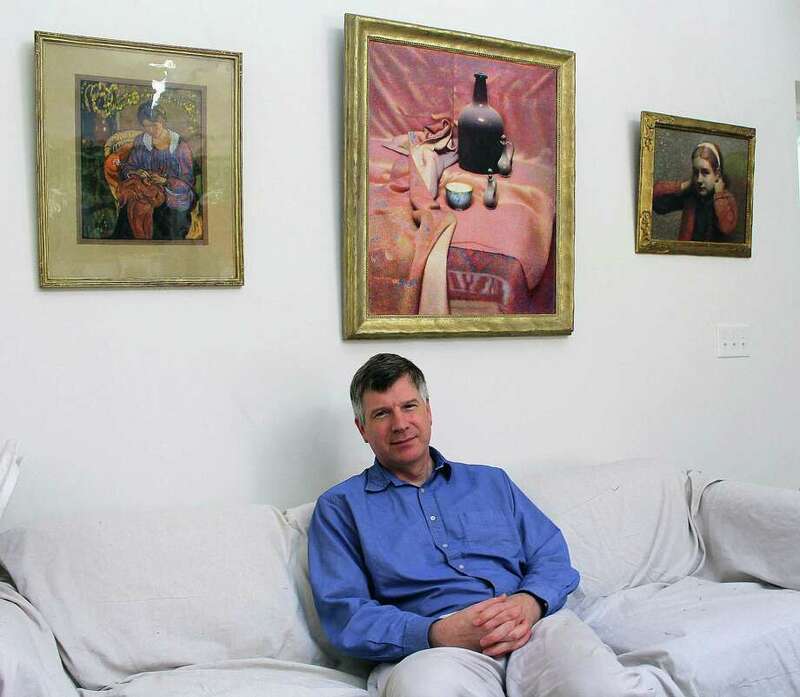 Discover Silvermine’s rich history during a celebratory lecture, “Silvermine: Celebrating Its Art, History and Beauty,” by author Samuel Schmitt, on July 12 at 6:30 p.m. at the Norwalk Historical Society’s Mill Hill Historic Park, 2 E. Wall St. Signed copies of Schmitt’s book, “Images of America: Silvermine,” will be for sale during the presentation. Light refreshments will be served. Admission is $5, and tickets can be purchased at norwalkhistoricalsociety.org. The event is sponsored in part by the Norwalk Association of Silvermine Homeowners and the Silvermine Community Association. The idea worked, and the guild attracted thousands of people with their exhibits. The guild was a spot for socializing and members often threw parties and picnics. But as time went on, the guild dissolved. “Once the members got older, it sort of died a natural death,” Schmitt said. New Canaan remains the home of the art center, which keeps the spirit of the guild alive. According to its website, the Silvermine Art Center has a guild of over 300 professional artists, five galleries with new exhibits every six weeks and an art school for artists of all levels. The guild has outreach programs in Stamford and Norwalk, another home of the original community. “Silvermine was always its own community, even though it’s technically in three communities,” Schmitt said. The center in New Canaan plays an ongoing role in continuing the guild that’s a part of Fairfield County history. “The guild has been a strand that’s linked past and present,” Schmitt said.